I have no idea how my desperate desire to bake something festive somehow translated into traditional shortbread – look, it’s even round like they do in Scotland! Having said that, I have no idea if this is even constituted as Scottish shortbread, anyone? For days now I’ve just craved biscuits and fresh, raw raspberries, but I can't bake those so they don't get a blog post. All I wanted was two things from these biccys: that they were home baked and that they included those festive Christmas spices. Y’know, nutmeg, ginger, cloves, and a bitta cinnamon? I knew I couldn’t bake the bog standard non temperamental gingerbread man recipe, this is a blog for grown-ups after all, so then the search began... the search for a biscuit which contained those beautifully tasting and oh so aromatic spices, but that wasn’t specifically a traditional a gingerbread man recipe. It was a disaster. There is NO SUCH THING. I came across this one recipe; it was from a shabby website which clearly hadn't been updated since the 17th century so god knows why I put my trust in it and went ahead, 3 eggs I used! So that’s when the shortbread was born, at 2 in the morning, after a frustratingly painful bake off it was time to just adapt from a real recipe from a real website and viola… short, delicate and just the right yield. Hey ho (ho-ho), maybe my next post will cease from such arrogance and be filled with some spicy real gingerbread men! Note: Rice flour can be found in most continental aisles in the supermarket. Or, if there is no such thing in your area, you can substitute it for 40g of cornflour. It does the same job, only, giving a more delicate as opposed to 'grainy' mouth feel. Preheat the oven to 150C. In a large bowl lightly cream the butter and the sugar till fairly smooth, with a wooden or plastic spatula. Add both of the flour at once, along with the optional pinch of salt. With a clean hand, start moulding the dough together using a groping/squeezing motion, until all of the ingredients are barely strung together. Grease an 8 inch sandwich tin with butter. Put the dough in the tin and press neatly into the corner, remembering to use a light hand. 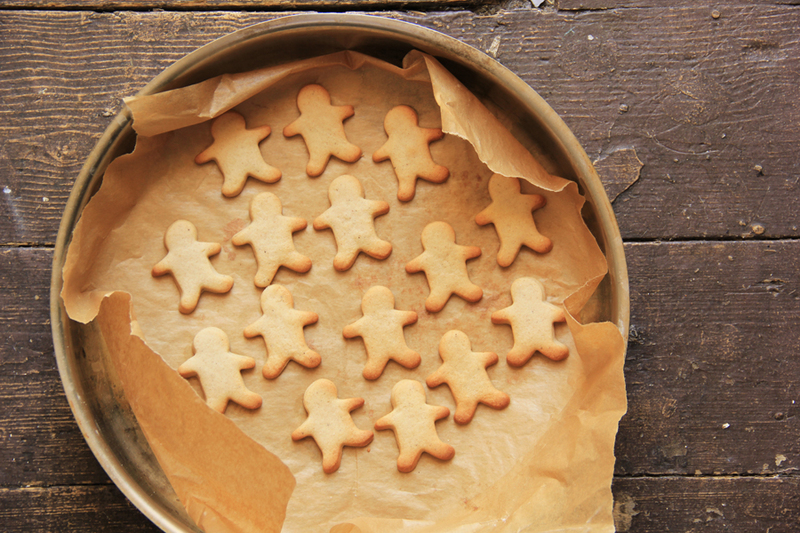 Decorate accordingly, using a fork to poke holes into the dough to allow air to escape. Score portions into your petticoat if you wish. Dust with caster sugar/sprinkle it all over and bake for 50 minutes. 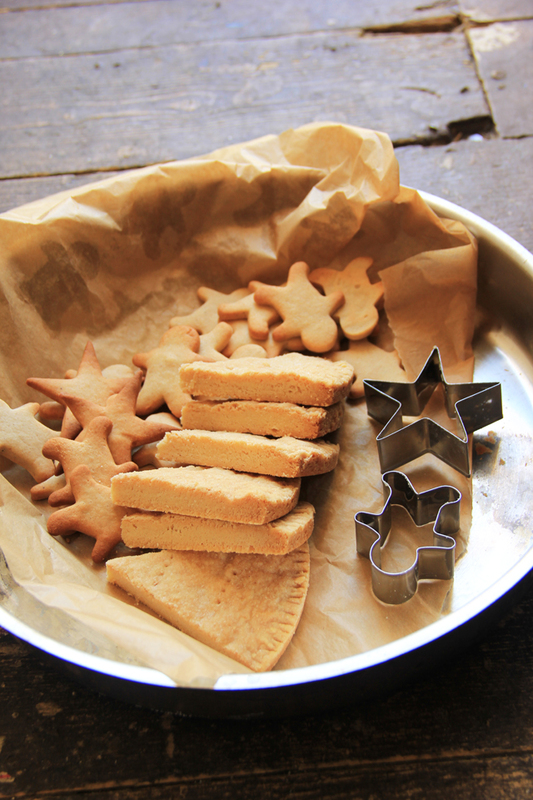 Leave to cool completely in the tin, the shortbread should come out of the tin very easily after its cooled! 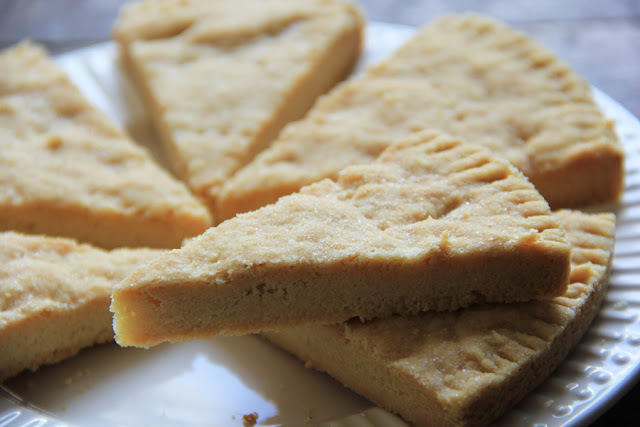 I do love shortbread, not made any for ages. Triangles always taste best for some reason!! These look amazing. Shortbreads are such a classic and I adore the cute shapes too! thank you! 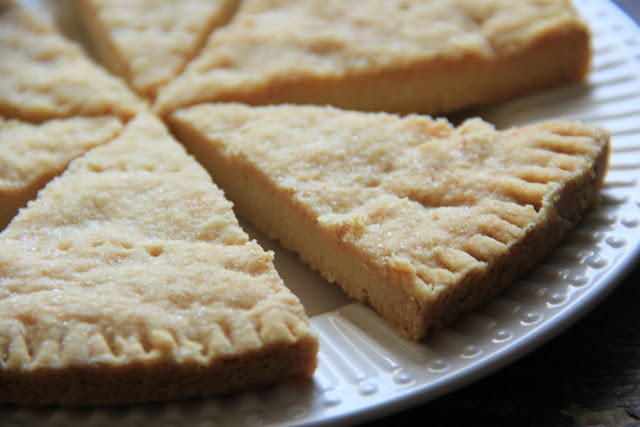 you can now buy shortbread dough from ASDA, and bake it in the oven...how exciting! 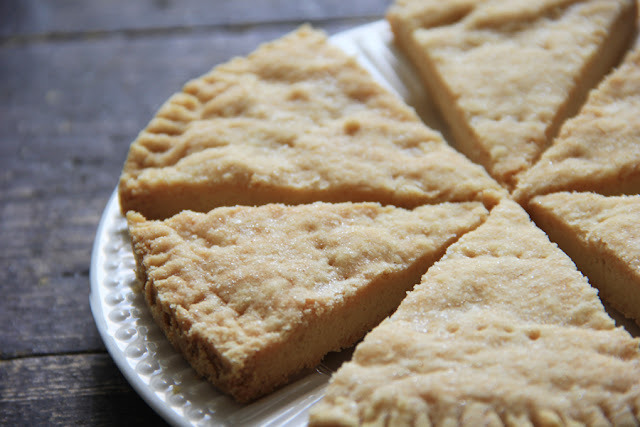 There's nothing better than classic shortbread. Yours is lovely. Juliana...your artwork is absolutely beautiful! I read this blog often and have you in my prayers always. Keep up the great work! You are inspiring and affecting more people than you will ever realize. You are a beautiful person! Great post,It gave me a lot of inspiration to make changes in my blog and make it way better than before.